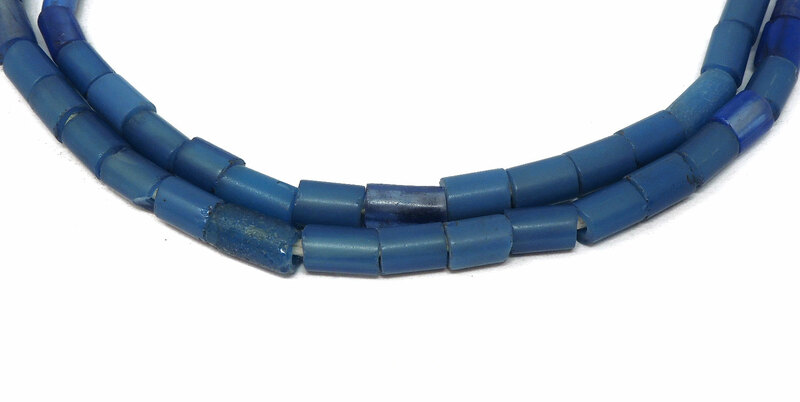 Bead Size 7-10 mm in diameter. Please see picture with penny for size comparison (US penny is 19 mm diameter). 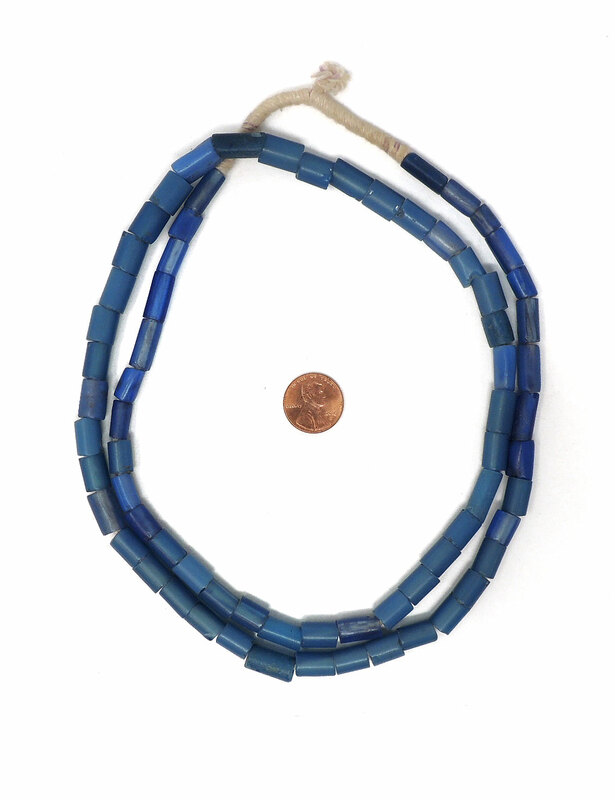 Unusual handmade wound glass beads from Bida, Nigeria. Beautiful colors.